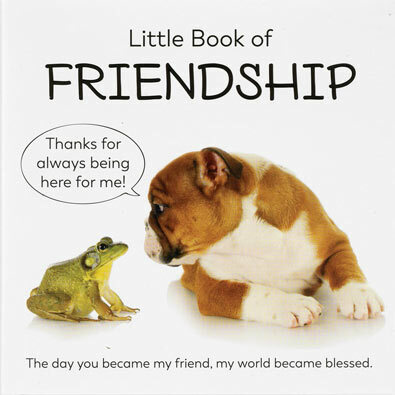 In these pages, you'll find friendships blossoming between cats and dogs, turtles and chicks, alligators and butterflies and many more, proving that friends can be found anywhere! Each adorable picture is accompanied with a saying that reminds us of how much we appreciate our friends, and how our lives wouldn't be the same without them. Hardcover. 108 pages. This book celebrates women who have successfully avoided becoming the stereotypical, blue-haired, rain bonnet-wearing little old ladies! Filled with delightful illustrations and insights, this book is perfect for every phenomenal woman in your life, young or old. Paperback. 144 pages. Our much-loved pets bring joy to our lives every day. Get an extra dose of laughter with this collection of funny photographs and hilarious quips that will let you know what your furry friend is really thinking! Over 100 adorable picture pages. Dog and cat themed. Hardcover.